A crazy decision turns Sanna’s life upside down. What makes a pregnant woman travel alone to the Australian outback and risk everything? Sanna’s life has been defined by safe choices until, in her thirties and pregnant, she travels to the ends of the Earth: a remote Australian mining town to do research for her master’s thesis. The town is run by rough-and-tumble men; the women either work at dingy pubs or push overflowing shopping carts down the supermarket aisles. In this bizarre, even menacing environment, Sanna meets her compatriot Martti, a miner with a restless history and equally restless soul and they start an improbable yet passionate affair. In order to find the balance she so seeks, Sanna embarks on a trek across the desert. The journey has been planned by an enigmatic woman, Ralda, acquainted with Aborigine culture. 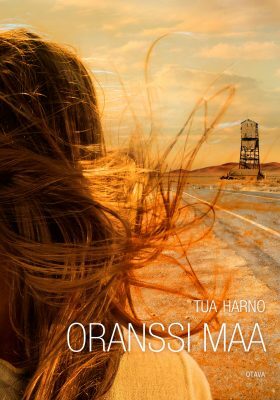 In the desert, Sanna realizes she has made the biggest mistake of her life entrusting her own well-being, and that of her unborn child, to Ralda’s hands.